Police in Spain have seized 2.4 tons of cocaine from a fishing boat sailing under a Venezuelan flag in the Atlantic. 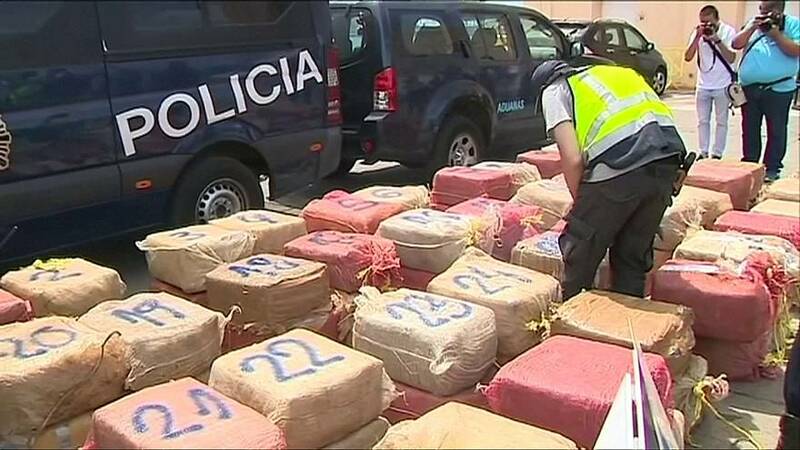 Spain’s Interior Ministry said seven people were arrested in a joint operation last week with the US Drug Enforcement Administration and the British and Portuguese police. The boat was then towed to the Canary Islands. And a bigger five and a half ton shipment of cocaine, which was also destined for Spain, has been intercepted off the coast of Ecuador and twenty people arrested. The drugs haul was estimated to be worth 250 million dollars. The shipment was organised by a drugs ring in Galicia and was headed for the Panama Canal when it was intercepted. Two people were also arrested in Madrid and another two in Vigo.